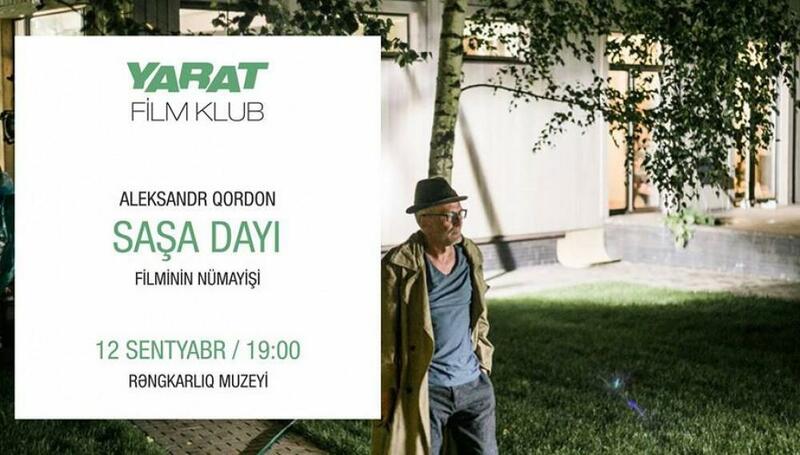 YARAT Contemporary Art Center will feature a screening of Russian director Alexander Gordon's “Uncle Sasha”, on September 12, at 7 pm. Film with 92 minutes of chronometry is almost Chekhov-style story about successful film director, who is shooting his last film at his country house against all the odds. Strange guests, narcissistic actors, eccentric neighbors and the director himself offer rich ground for the author’s irony, and sarcasm. The film will be shown in Russian. Alexander Gordon is an actor, director, producer and screenwriter. From 2001 to 2003, he hosted "Gordon show" on NTV. In 2002, he made his first feature film "Shepherd of his cows" written by his father Harry Gordon. The painting won the prize of the jury of the IX Russian Film Festival "Literature and Cinema" in the category of "Best Director's Debut". In March 2004, Gordon presented his production of "The Demons" based on the novel by F.M. Dostoevsky on the stage of "School of Modern Play". Since September 2004, Gordon is hosting the "Stress" show on NTV.